Many users of Windows-XP and later are unaware that besides English, their computer has support for most major languages of the world, including major Indic scripts (scripts from India). However, one has to do some language settings to be able to use desired languages. This writeup is to give you direction in this regard. In this discussion, also an example of installation of custom Punjabi keyboard is given. However, this method applies to any other language. Some of the scripts of the world require special handling protocols within the operating system and are thus called complex scripts. Like many Asian and Arabic scripts Indic scripts also fall into this category. Although, Widow-XP operating system has the ability to support complex script procedures, the default setup does not do that. On the otherhand, the Windows Vista is ready to use Unicode complex scripts without any setup by the user (however, the user does need to install the appropriate language keyboard for editing purposes). (1) (a) Press on the "Start" button on the task bar. (b) From the menu select "Control Panel". (2) Swith to "Classic View" of Control Panel. 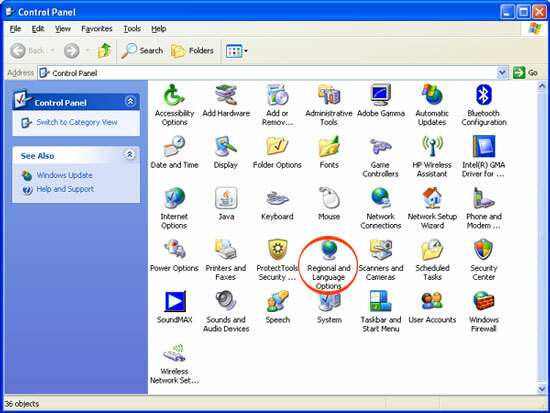 (3) In the Control Panel Double-click on "Regional and Language Options" icon. (4) In the "Regional and Language Options" click on "Languages" tab. 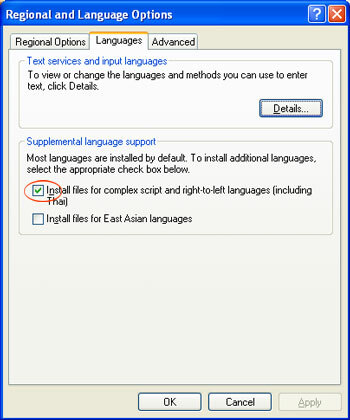 (b) Put a check mark for "Install files for complex script and right-to-left languages (including Thai)". (c) Restart computer for the complex language support to start working. Follow the direction provided here to install appropriate language keyboard. This requirement is the same for Windows Vista as well for Windows-XP (with complex scripts activated), as language is a choice exercised by the user. (a) Download the Unicode keyboard (zip file). (b) Unzip the dowloaded file (one simple way to accomplish this is to double click the zip file and then to drag the files from inside the zip folder into another folder). 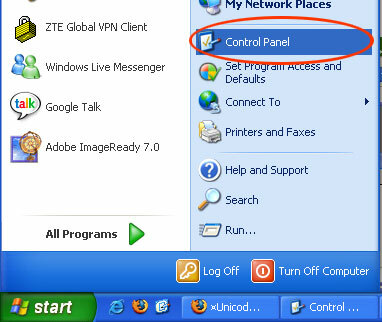 (c) Double-click on the installer icon inside the unzipped folder. In a minute or so the keyboard and Punjabi language will get installed (note: the hour glass does not appear during this installation). (d) To write with installed Punjabi keyboard, make selection of language (Punjabi) at the task bar before writing. 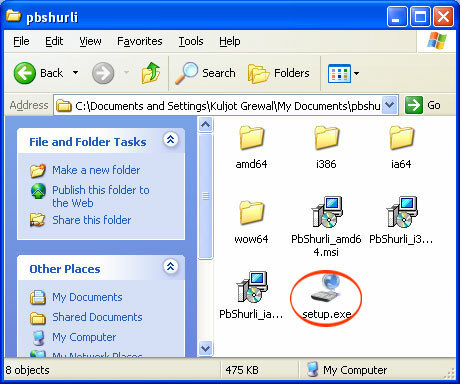 The selection can be done with the mouse or by use of Alt+Shift keys on your computer keyboard. For English, the symbol displayed on the task bar is EN and for Punjabi it is PA. Pressing the language symbol with mouse displays a menu from where a proper selection can be made. Note: If you still face any problem please feel free to contact Shurli Team.